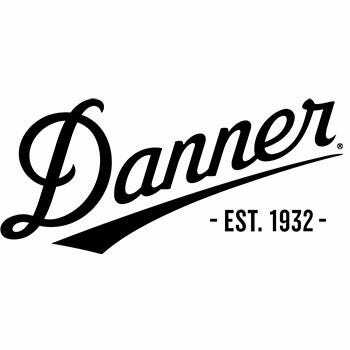 Danner Manufacturing Company’s main goal is to satisfy the toughest customer, the expert. That's why the constructed the Danner overbuilds. This company believes “Overbuilding shows value...separates their brand in an overcrowded marketplace and sets the tone f ... (see full details) (see specifications) #14226. Danner Manufacturing Company’s main goal is to satisfy the toughest customer, the expert. That's why the constructed the Danner overbuilds. This company believes “Overbuilding shows value...separates their brand in an overcrowded marketplace and sets the tone for their entire company.” That's why you can depend on these Danner Men's 14226 Brown 8-Inch Gritstone Alloy Toe Waterproof EH Work Boots to get the job done right, the first time. They feature waterproof protection, electrical hazard coverage, and an 8-inch height made out of rugged leather to make sure you have the ultimate protection when you head to the job site. Manufactured with durable, waterproof full-grain leather uppers, these Danner men's waterproof boots resist the wear and tear of the workplace. They also feature triple-stitching for a superior fit and the utmost protection. In addition, these EH brown boots have also been constructed with dual-purpose hardware. This hardware allows you to efficiently put on and take off this premium men's footwear. This makes them the ideal pair of brown Danner boots for people who are always running late. Designed to resist Mother Nature, these brown leather boots are crafted with Danner’s premium Dry waterproof protection. This protection is designed to keep your feet cool, dry, and comfortable all day and all night. These are also constructed to help reduce foot fatigue by only weighing 76 ounces. This allows you to move more efficiently and stay on the go longer because you won’t be exerting as much energy. These exceptional waterproof boots also feature cushioning ortholite footbeds. These soft footbeds are crafted to provide your feet with the all-around comfort you require. In addition, this men's footwear is also equipped with a Bi-Fit] integrated shank system. This system provides you with increased rigidity in the arch areas and allows for flexibility in the forefoot. These brown 8-inch Gritstone boots have also features handcrafted, stitchdown construction for the utmost durability. Protection is key, so that's why this Danner footwear is equipped with Vibram Olympia oil-and-slip-resistant outsole for superior traction and debris release. That way you can stay on your feet and off the floor in any workplace terrain. They also feature an alloy toe meets or exceeds ASTM F2413-11 I/75 C/75 EH to protect you from compression and falling objects. This waterproof alloy toe footwear is also equipped with electrical hazard protection ASTM F2892-11 EH, which allows you to work around some open circuits and wires safely. So are you satisfied? Because we know we are! Go ahead and order your pair of Danner Men's 14226 Waterproof EH Brown 8-Inch Gritstone Alloy Toe Slip-Resistant Boots online today or stop into Working Person’s Store today and try on a pair. Danner Boots: Men's 14226 Waterproof EH Brown 8-Inch Gritstone Alloy Toe Work Boots is being added to your cart.